"To be the preferred choice for personal trainers and clients looking for the most comprehensive personal and group training experience. We will accomplish this by developing and updating systems that support our mission and that are consistent with our core values and principles"
My goal with Refine Fitness Studio was to offer an alternative to the ‘big gym’ experience, an experience which not everyone enjoys. In my opinion, big clubs are not able to properly take care of the majority of their members due to their size. 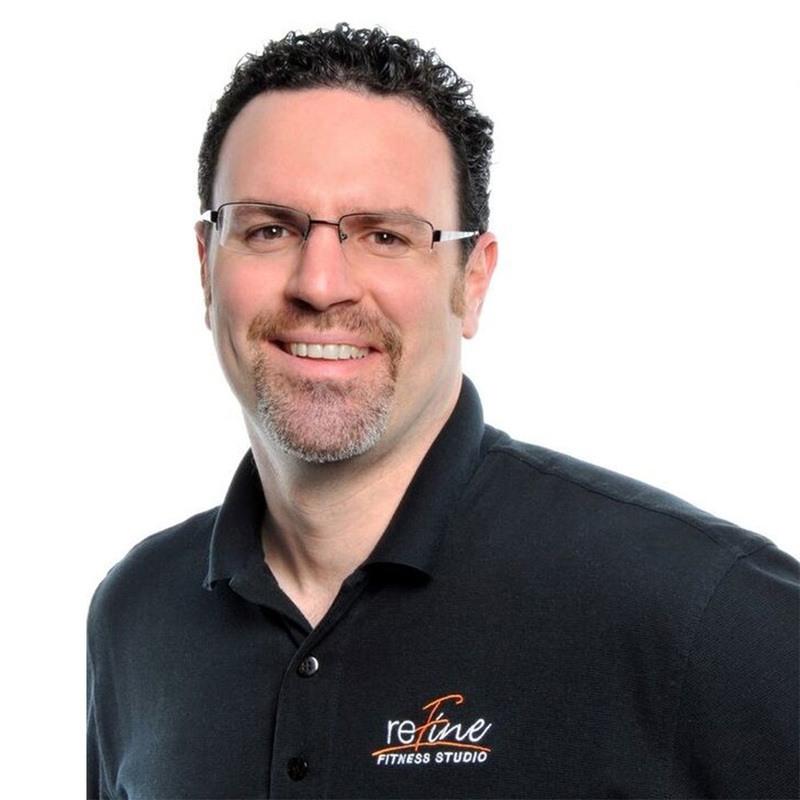 I wanted to offer a higher level of service and assistance to those people that needed it most, to ensure that Refine Fitness would be known for our Personal Training services and the results that our clients got and to hire and keep the best staff available while giving clients the best possible experience. During our first two years we saw great success helping our members improve their health and fitness; we began to build a name for ourselves in the community. Soon after it became obvious that we were going to need to expand our space in order to accommodate future growth and widen our Personal Training options and other programs, thus, in the fall of 2010, we doubled the size of our main personal training area. While we have seen great success to date, we are still a small business and are very much impacted by the ups and downs that all businesses experience; in no way have we ‘made it’ but I am confident we are well on our way. I also believe strongly in community and feel it is important to get involved and give back. For this reason, as a business, we are actively involved with numerous charities and fundraising events. My business is also a family one. You will regularly see my parents, wife and kids around the gym and my sister’s cleaning company keeps they studio spotless. I need to remind myself occasionally how lucky I am to be doing what I love while also making a difference in people’s lives.